Join us on Wednesday, June 29th for an evening of excellent food, drink and fun on the farm! We have just a few tickets remaining to our fantastic Summer Party (here’s just some of the fun from last year)! 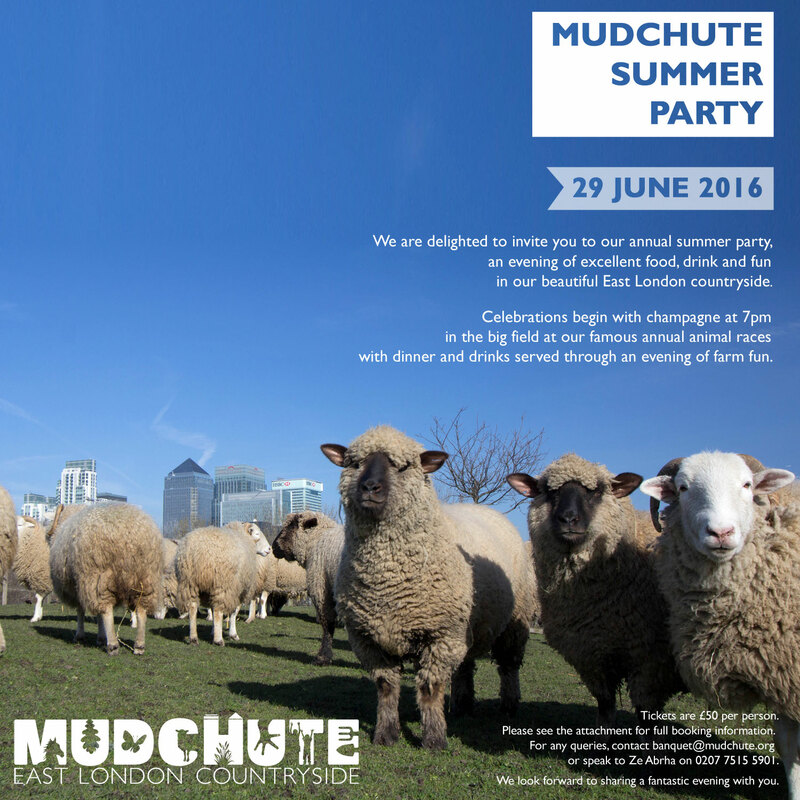 Proceeds from this fabulous evening help support the Mudchute Association! Enjoy a spot of sheep racing and watch the sun set over Canary Wharf. To join us, book your place now by downloading a booking form here. Thank you for your support! Can’t make it on the night? Please consider donating a auction prize or making a donation. For more info email us at banquet@mudchute.org.